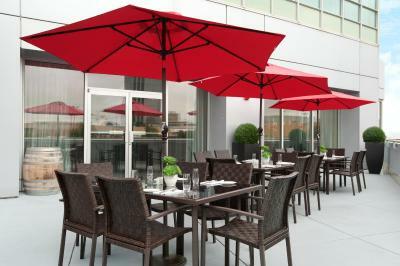 Lock in a great price for Hilton Vancouver Metrotown – rated 8.1 by recent guests! The staff was friendly and helpful. Location was good. Outdated facility with few amenities. For the same price, Elements was a far superior experience and more options across the board. Room, facilities, amenities, etc. I had a great stay here, comfortable, near everything. Breakfast was good and staff very friendly. Room was very clean and staff was very friendly and helpful. Great location, close to shopping mall. Attentive staff. We got a free upgrade to a higher floor. Great view. Beautiful, comfortable room. The bed was nice and soft (more than normal). The location was excellent for a 1-night stay, near to shopping and food. Great choice. Every single staff at this hotel including the front desk clerks, vallet parking attendant, restaurant servers, was so friendly. They made my first solo trip to Vancouver comfortable and memorable. Thank you!!! Staff were friendly. Lobby was attractive and beds were very comfortable. Hilton Vancouver Metrotown This rating is a reflection of how the property compares to the industry standard when it comes to price, facilities and services available. It's based on a self-evaluation by the property. Use this rating to help choose your stay! 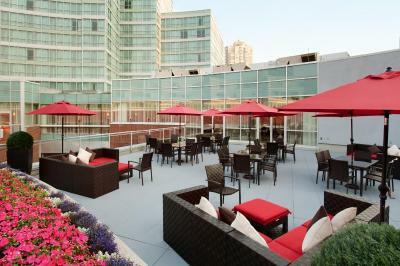 One of our top picks in Burnaby.Featuring an outdoor pool and on-site restaurant, Hilton Vancouver Metrotown is located in Burnaby and offers meeting space and car hire services. A complimentary shuttle service is available for guests. Free WiFi is provided. All contemporary guest rooms and suites offers floor-to-ceiling windows with views. A flat-screen cable TV, USB ports, and a work desk are provided. The private bathroom includes marble bath countertops, soaker bathtub, hair dryer, and free toiletries. Crystal Bar and Grill offers west coast cuisine for breakfast, brunch, lunch and dinner. A fitness center offers guests an elliptical machine, rowing machine, and treadmills. Free parking is available on-site. Deer Lake Park is 9 minutes' drive away. Vancouver city center is 7.5 mi from the property. 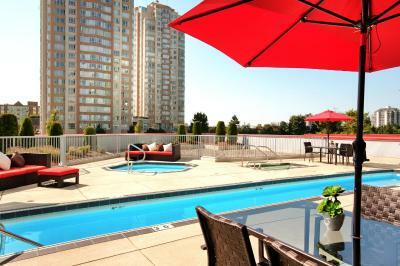 This property also has one of the top-rated locations in Burnaby! Guests are happier about it compared to other properties in the area. 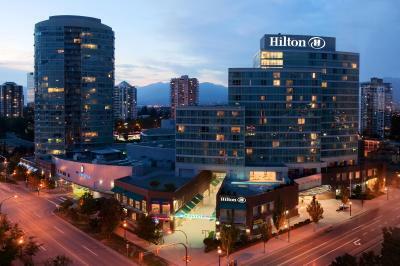 When would you like to stay at Hilton Vancouver Metrotown? Featuring floor-to-ceiling windows, this room offers a flat-screen cable TV, work desk with phone and in-room safe, and a mini refrigerator. The private bathroom includes marble bath countertops, soaker bathtub, hair dryer, and free toiletries. USB ports, docking station, and free WiFi is included. Public parking is available on site (reservation is not needed) and costs CAD 16 per day. This room offers plush robes, a Keurig coffee machine, and complimentary bottled water at check-in. A flat-screen cable TV, work desk with phone and in-room safe, and a mini refrigerator are provided. The private bathroom includes Marble bath countertops, soaker bathtub, hair dryer, and free toiletries. USB ports, docking station, and free WiFi are included. This room offers access to a private lounge along with concierge services, a continental breakfast, and extra bath amenities. Featuring floor-to-ceiling windows, this suite offers a flat-screen cable TV, work desk with phone and in-room safe, and a mini refrigerator. The private bathroom includes Marble bath countertops, soaker bathtub, hair dryer, and free toiletries. USB ports, docking station, and free WiFi are included. The suite has access to the Opal Lounge located on the 18th floor which is open for hors d'oeuvres in the evening and continental breakfast in the morning. Featuring views of the city and mountains, this room offers a flat-screen cable TV, work desk with phone and in-room safe, and a mini refrigerator. The private bathroom includes Marble bath countertops, soaker bathtub, hair dryer, and free toiletries. USB ports, docking station, and free WiFi are included. This suite offers a flat-screen cable TV, work desk with phone and in-room safe, and a mini refrigerator. The private bathroom includes Marble bath countertops, soaker bathtub, hair dryer, and free toiletries. USB ports, docking station, and free WiFi are included. WiFi is available in the hotel rooms and costs CAD 6.95 per 24 hours. House Rules Hilton Vancouver Metrotown takes special requests – add in the next step! Hilton Vancouver Metrotown accepts these cards and reserves the right to temporarily hold an amount prior to arrival. We returned to the hotel one evening and the parkade door was shut. It wouldn't detect our vehicle. We had to run to the front desk to ask for it to be opened. The breakfast buffet was a bit disappointing for the price (CAD$24). The entrees (egg, potato, sausage) weren't very tasty and the variety of bread wasn't great either. The renovated rooms were excellent. They were nice and quiet and the bed was very comfortable. It was a short stay, but I wish I could have spent more time in the room. The convenient location near the Metrotown station was great too. It was very easy and quick to get into downtown Vancouver, where I attended a Canucks game. The temperature was too cold at first, it was better after we adjusted the temperature; but the noise from the air conditioning did not stop whole night. My 72year old mom only got 3 hours sleep at that night. Front desk lady was very nice. The prices were insane. $350 per night, plus $16 for paid parking and another $7 for wifi. I mistakenly thought the breakfast buffet was included however it was $25 dollar per person and the breakfast was average. 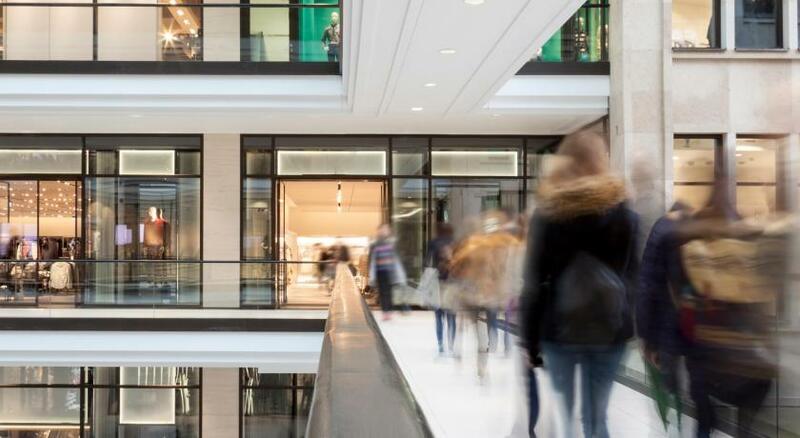 Undergoing renovation at the time (Feb 2019), there was noise from 8 a.m. to 8 p.m. lots of workers and furniture coming in and out of the guest elevator. One elevator was broken when I was there. I was allowed to check out at 1 pm but my room keys expired at 12 pm which is very awkward for me when I was trying to get in the room with my lunch take out. I had to go all the way to the front desk to get my room keys working. Someone should mention this to me when telling me I can check out at 1 pm. inside bar is good and convenient.